Why do Homes in California Cost So Much? Home prices in California are more than double the typical American home, and even more expensive if built in a coastal area. Why? Sure, California is a desirable place to be. One of every eight Americans live here. And lack of adequate housing - especially along the coast - drives up prices. 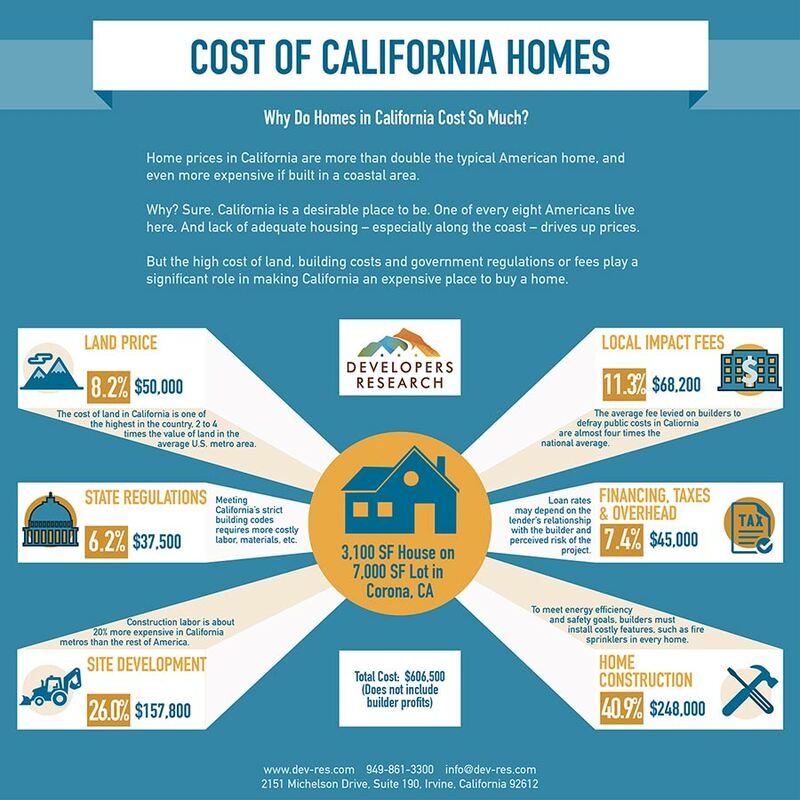 But the high cost of land, building costs and government regulations or fees play a significant role in making California an expensive place to buy a home.